You work for a living, so you know that falling objects, hard floors, and unsafe conditions are your enemies when you work. But you might forget about one sneaky enemy, an enemy that finds your weak points and preys upon them. 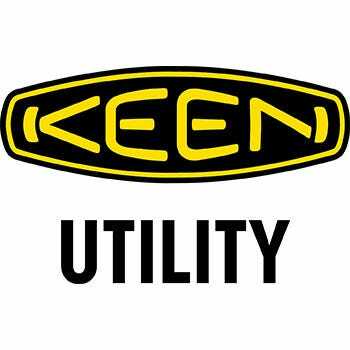 The men's KEEN Utility 1009174 Milwauk ... (see full details) (see specifications) #KEN1009174. You work for a living, so you know that falling objects, hard floors, and unsafe conditions are your enemies when you work. But you might forget about one sneaky enemy, an enemy that finds your weak points and preys upon them. The men's KEEN Utility 1009174 Milwaukee waterproof steel toe boots protect you against water - that creepy foe you'll find when you least expect it (or want it). These KEEN Utility boots are fashioned from brown waterproof leather. Even in wet conditions, the leather continues to bend and flex comfortably around your feet. Because it's high-quality full-grain, the leather won't wear out anytime soon. These men's boots are also wind-resistant and easy to clean. Black and yellow accents create bold contrast against the neutral leather of these slip-resistant boots. KEEN.Dry waterproof membranes line the interiors of these waterproof boots. That's right - these steel toe boots are waterproof inside and out to make sure you stay dry in wet weather conditions. The thin membranes completely block moisture, but not air. An innovative, breathable design releases heat and promotes cooling air flow to prevent sweat when you wear these brown boots. Dual-density footbeds soften your strides with the comfort of lightweight EVA foam. Two layers of lightweight foam cushion you from even the hardest floors. Made in a Metatomical design that fits the curves of your feet, the footbeds of these water-resistant boots are fully removable for easy cleaning. The fabric lining is made with hydrophobic/hydrophilic technology to give you two-zone comfort. The lining both resists water and absorbs it, so your skin stays dry and healthy whenever you wear these safety toe boots. KEEN Utility welt construction was used to attach the rubber soles. This stitched method keeps the bond between the soles and uppers of this KEEN Utility footwear firm. The shock-resistant, non-marking rubber of these EH boots helps you bounce back from every impact. It’s oil-resistant, and it stands up to corrosive chemicals. Slip-resistance keeps the tread firm, even against wet and slick floors. The left and right steel toes are made in an asymmetrical design that matches the natural slope of your feet. They meet ASTM F2412-11 and F2413-11 1/75 C/75 standards of safety. That means they protect you from harmful impact and compression. Meanwhile, the rugged soles of the men's footwear protect you from electrical hazards. They’ll absorb dangerous electricity, and you’ll stay safer. These men's KEEN Utility 1009174 waterproof steel toe boots are safe and comfortable. Isn’t that just what you want to feel when you work? I work in the chemical industry outside alot in some rough environments and these boots are the most comfortable and toughest that I have ever worn! i highly recommend these to anyone that is on there feet alot and especially outside! you can't put a price on good quality footwear! I also have Keen hiking shoes that are awesome! I work in the meat market in Boston, poultry products specifically. If I am lucky a pair of boots might last a year, these are going on one and a half years and are still in decent shape. The only drawback would be that these boots are on the heavy side, but they are very comfortable. My company gives us $100 a year for boots just because they wear out so fast, I bought a new pair four months ago, they were on sale, they are still in the box. KEEN Utility 1009174 Men's Milwaukee Waterproof Steel Toe Boots is being added to your cart.